Thanks for joining me today as I unveil this detailed review of CouponCabin. Lately, so many people have asked just what is CouponCabin.com that I felt compelled to join and check it out. And, I’ll happily share all of my insights below. The Internet landscape is riddled with programs that are advertised as “money-saving opportunities.” Some really do pan out and help you to keep more of your hard-earned money. But at the other end of the spectrum, you can also encounter scammy programs. It’s always best to do your research because even if it’s a free opportunity you don’t want to be wasting a lot of your time, do you? Additionally, there could be an opportunity cost of making a poor choice because other options might save you more money. So without further ado, let’s take a look at the good and maybe not so good aspects of Coupon Cabin, shall we? CouponCabin is a website founded in 2003 that provides online coupons, printable in-store coupons, and cash back at more than 3,500 online vendors. 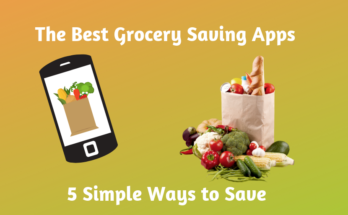 They have a handy browser extension called CouponCabin Sidekick that keeps you apprised of offers in real-time as you shop online, and a mobile app for savings on the go. The claim is that CouponCabin can find you a discount for whatever it is you want to purchase, You can earn up to 20% cash back with select online partners. It’s also possible to double down on your savings by stacking coupon codes with cash back offers. Saving money with CouponCabin is a pretty simple process that involves joining, shopping through the CouponCabin portal and getting paid. The site is always free to join and signing up takes seconds. While CouponCabin doesn’t offer a sign-up bonus for new members, you can quickly earn a $2 bonus for downloading the Sidekick browser extension. Another $1 bonus is available to new members for reading CouponCabin tips. As with similar cashback websites like BeFrugal or TopCashback, it’s essential that you start your online shopping trip with CouponCabin by clicking one of their Shop Now links. The urgency is because CouponCabin earns money from partner vendors through advertising fees and affiliate marketing commissions. The links that members click on CouponCabin’s site contain unique embedded codes. These codes inform retail merchants that CouponCabin referred a customer and has earned a fee for doing so. When CouponCabin gets paid, you get paid also through a commission sharing arrangement. Rest assured that the flip side is also correct. If CouponCabin doesn’t get paid, you also won’t receive any cashback. I point this out because failure to receive anticipated cashback is the most frequent CouponCabin complaint you’ll find as you conduct reviews. In fact, that’s true of all cashback sites, and it typically stems from people inadvertently closing their browser or taking some action that prevents proper tracking of embedded codes in promotional links. The Sidekick browser extension can be a handy reminder of savings opportunities. When you navigate to a website that offers deals to CouponCabin members, a button will appear at the top of the screen that you can click. Periodically offering some truly awesome members-only deals may be what sets CouponCabin apart from other cashback sites. I haven’t been able to claim one of these deals yet, but the possibility is enticing and encourages me to pop in on the website periodically. How Will You Get Paid By CouponCabin? Cash is not immediately available when you make a purchase using CouponCabin. The vendor must verify your purchase which typically takes about 6 days. Your money will then be “pending” until any merchandise return periods expire and the sale is final. Once you have a $10 cash balance in your account, you can request payment by Paypal, direct deposit, egift cards, Chase payment or check. Unlike Ebates, who only processes payments quarterly, CouponCabin distributes payments to members every business day of the year. If you choose an egift card, in some cases you can get a little extra bang for your buck because the card includes bonus cash. For example, if you choose payment through an Amazon gift card, a 10% cash bonus is attached to the card. Not surprisingly, an Amazon gift card is the most popular choice although you can also select from dozens of other vendor cards. Bed, Bath & Beyond, Sephora, JC Penney, and Applebee’s are just a few available choices. For all my readers who were wondering, what is CouponCabin.com, I sincerely hope I’ve cleared up any confusion. Furthermore, Is CouponCabin Legit? Yes, there’s no question of the legitimacy of this cashback website. Should you choose to join CouponCabin, you’ll be presented with numerous money-saving opportunities in the form of coupons, member-only deals, and cash back when shopping online. What’s more, CouponCabin honors their commitments to members, and you will be paid. Is CouponCabin worth your time? Answers to this question may vary, but I think it is primarily because the time commitment is minimal. It takes only a few seconds to secure a discount. I hate paying full price when I know it’s not necessary, so I tend to check out the available deals. CouponCabin is a savings opportunity rather than an avenue for making money online. Those who would say it’s not worth your time are usually basing their answer on the fact that there are ways to earn a substantial income on the Internet. There is some merit to that position. For anyone interested in generating an income online rather than just saving a little money on purchases, you might want to check out the platform where I built my website and received training in affiliate marketing. You can explore Wealthy Affiliate for free and see for yourself what all the buzz is about. Next Article How Does Wealthy Affiliate Really Work? Too Good to be True? I can see where you could save money with this. But if it takes a while to get to just $10, then that seems like not such a really great idea. I had not heard of BeFrugal before, but that is one that I will certainly check out. I use Ebates which I really like. I don’t use it to make money, but simply to save money on purchases. Are Ebates and BeFrugal comparable or are they entirely different? Ebates and BeFrugal are cashback websites that are similar in many respects. 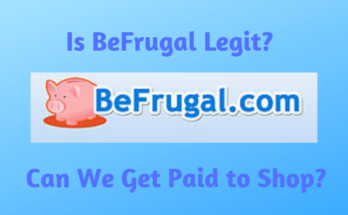 If you use Ebates and like it, I recommend you give BeFrugal a try. I’ve found BeFrugal to be more advantageous in several ways including partnerships with more online retailers, higher maximum rebate rates, and more flexible payment terms. To be clear, the time necessary to get to the minimum payout threshold on CouponCabin will vary dramatically based on your online shopping habits and the vendors you purchase from. You may be paid sooner than you would with Ebates because CouponCabin does not wait until the end of the quarter to process payments as Ebates does. I hope this response was helpful and I appreciate your comments! CouponCabin is one of many coupon/cashback saving sites that you can use to save money and earn money back on your purchases, both online and in-store. But is it worth joining this place? Or is CouponCabin a scam that is going to be a waste of your time? Just like you, it’s a hobby of mine to check out these types of sites. These are some of the questions that I like to try to answer as I use different websites. I wanted to see if we agree and it seems we do. CouponCabin is one of the good sites. I have to agree that CouponCabin is a completely legitimate site where you can save money. Your review on “CouponCabin” is really top-notch and i must confess that i have learned a lot from reading it. Though “CouponCabin” is very legit according to your review, i just feel its just a way of saving a little money on purchases,and not a major way to make money online. The video you attached was so explicit and very easy to understand. Thanks so much for this lovely review. I hope to read more from your subsequent posts. You’re correct that CouponCabin is not a major way to make money online. You can save money if you do a lot of online shopping or if you’re willing to look for in-store coupons. Saving money is good, right? It looks like you’ve done a great review of CouponCabin. I was very happy to see that because I joined Wealthy Affiliate and upgraded to their Premium program. WA stresses the importance of being helpful and creating quality content. I really like the program so much, so it always makes me happy to see positive reviews and recommendations for Wealthy Affiliate! It has brought me great success!! I’m always pleased to hear from a fellow Wealthy Affiliate premium member. Thanks for the kind words and comments! Thanks, Afolabi. I’m glad to hear affiliate marketing is working out well for you. I appreciate you taking the time to comment! Yes, CouponCabin is a reputable organization that’s been around for more than 15 years. If you follow the guidelines you will be paid the cash back that you earn. Glad you stopped by! Making money for buying stuff is super cool. CouponCabindotCom sounds like a website I would like to make my purchases on, seeing that I get paid for shopping. That I also get paid to register and read their tips is amazing, I would not like to pass up this cash back opportunity. Thank you for this review on CouponCabindotCom, it was a lot of help. Yes, you really answered my question. Thank you. I used to think that coupon cabin is actually an avenue to make some money online but little did I know that it is just to help me save some money while making purchases online. I think coupon cabin is cool for anyone who is just interested in saving money. However, I am grateful I found myself in the platform that will help me build my own online business and that’s Wealthy Affiliate’s platform. Your points are well taken. I have thoroughly enjoyed building my online business and have WA to thank for great training and resources. I like to save money with programs such as CouponCabin because I see no need to pay full price when I can easily earn discounts. But, my website offers far more potential. Yes, CouponCabin is one of many coupon/cashback saving sites that you can use to save money and earn money back on your purchases, both online and in-store. Once you have a balance of $10 you are eligible to get your cash back sent to you. You can choose to receive it via PayPal, check, e-gift card, or by Chase payments. However, for me, it’s not a way to make real money online. You only get a few bucks on CouponCabin. The recommendation you gave, to join Wealthy Affiliate is a very valuable one. This is where you learn to be your own online boss and make real income not pennies. Well said. I admit I love being my own boss and growing an online business. Good luck to you! An interesting article. However, I believe that you should get more for what you put in. For example, getting 20% cashback as compared to 40% cashback that you get from other online brands. On the other hand, joining the program and getting paid is worth a try if you’re looking for something specific. They might have partnerships with some stores that other websites don’t have. So the choice is left up to consumers. Thank you for sharing this post. You’re absolutely correct in your observation that cashback sites have relationships with different vendors and may offer deals on different products. Since they’re all free to join, it doesn’t hurt to do some comparison shopping when looking for discounts. I belong to CouponCabin and several other cashback sites. There are so many scam websites out there, it’s good to see one like Coupon Cabin which is legit. Another good thing about it is that they seem to be offering money saving offers with businesses and products that people actually use. It’s also good that Coupon Cabin is free. If they charged a membership fee, many people might wind up paying more for the fee than they saved on the offers. It’s true that there are some less than reputable sites out there. I personally stay away from the cashback sites that want a membership fee, There are too many legitimate sites where I know I can save money on my purchases. CouponCabin is one of the legit sites. Thanks for contributing to the conversation! Hi! I’m glad Coupon Cabin has an A+ in Better Business Bureau rating. It gives confidence in this platform. I really like to have good cash back options. And the fact that we can get cash back with PayPal makes Coupon Cabin an excellent option. Having to wait until the merchandise return period expires is understandable. And I’m ok with the threshold at $10. Thanks for this review. I appreciate the option of getting cash back through Paypal as well. It’s so quick and painless.